Most people benefit from three main meals and two snacks on a daily basis. And the food you eat is very important since it influences your blood glucose levels. Therefore, you should know that if you have diabetes a good food for you is pears. Everyone needs carbs; you just have to balance them with fat, fiber, and protein at each meal. Balancing carbs helps decrease the rate at which glucose is absorbed. Therefore you won’t have a dramatic blood glucose spike. Good carb choices are fruits which are high in fiber such as pears. 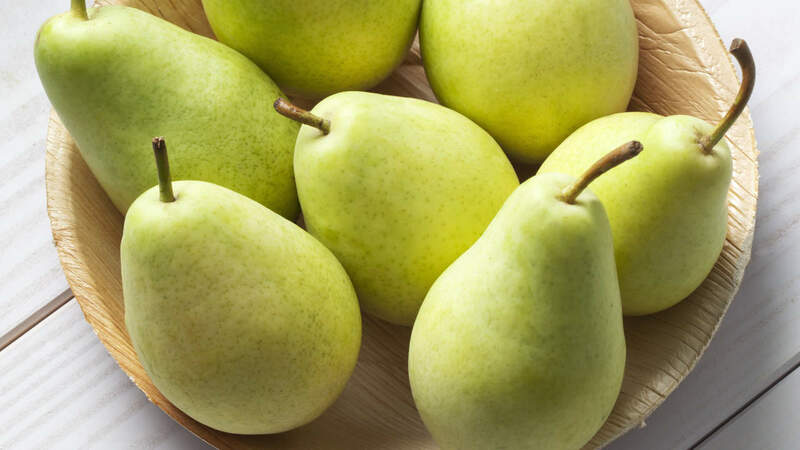 The pears are a healthy snack for people with diabetes. They are actually low-calorie and low-carb fruit which is vital for your condition. Moreover, they are an amazing source of vitamin C. According to the Dietary Guidelines for Americans eating 2 pears on a daily basis meets your fruit needs. Most people think that fruit contains sugar and that is why people with diabetes should not consume fruit. Well, that is wrong because eating fruit is necessary. The fruit is rich in fiber, vitamins, water, and minerals; these are all crucial nutrients. As a matter of fact, most fruits are thought to be low GI foods. Fruits high in fiber like the pears have sweet taste without having bad effect of spiking your blood glucose. For those people who count carbs, one small piece of fruit has around 15 of carbs. The best way to include minerals and vitamins in your body is to consume the right food. When it comes to pears, they are abundant necessary minerals and vitamins which help for your overall health, and which is important for all people and not just people with diabetes. The pears contain the vitamins retinol, vitamin C, choline, vitamin E, lutein, vitamin K, beta-carotene, and folate. Also, the pears contain the minerals potassium, calcium, magnesium and iron. The fiber is a crucial part of a healthy diet for people with diabetes. As a matter of fact, the dietary fibers helps lower cholesterol and helps control the blood glucose and the body weight. A snack or meal which has fiber slows down the absorption of carbs into the bloodstream. As a result, there is slower and sustained rise in the blood sugar over a longer time, which lowers the chance of blood sugar spikes. Pears with their skin left on are a fiber-rich food. One pear of medium size has around 6 g of fiber which is approximately 24 percent of the recommended daily value. Having a sweet tooth can set a person with diabetes up for poor control over the blood glucose. The pears are actually a sweet treat which might help calm down the sweet tooth without sacrificing the control over the blood glucose. You can eat a pear as a snack or as a dessert. Moreover, you can combine a couple of pear slices with fat-free, sugar-free whipped cream as a healthy and satisfying dessert. They are a portable food which is excellent to consume when you travel, have a long and busy day, and you cannot eat at home, or as a snack while you are at work. Bear in mind that every single thing you decide to eat influences your blood glucose. Therefore, what you need to do is choose wisely. Remember, you are what you eat.